Gone Kesh Movie Review: The title may be a put-off - the pun on gone case is a bit of a stretch. The film isn't. An unprecedented premise - the problem of hair loss and how it impacts a young girl and her parents - sets debutant Qasim Khallow's Gone Kesh apart from the other small-town tales that Bollywood has churned out in recent times. The film's location - Siliguri in North Bengal - is no less surprising. Who would have ever expected an industry that never ventures beyond upcountry towns (Lucknow, Meerut, Allahabad, Varanasi, et al) to wend its way to the foothills of the Himalayas in the eastern part of India and set an entire film there? 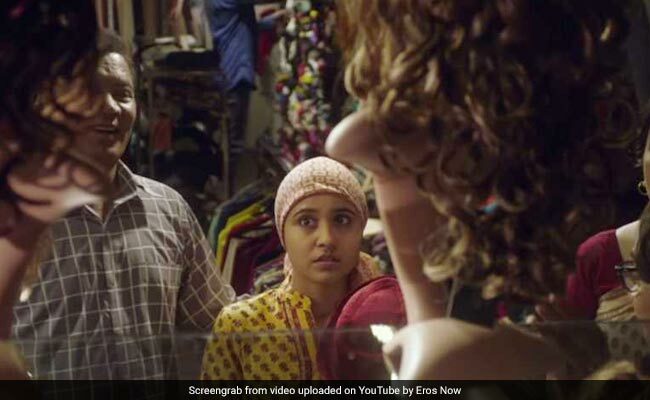 Bolstered by terrific performances, not the least of which comes from Shweta Tripathi, playing a girl afflicted with alopecia, a condition that leads to complete baldness, Gone Kesh makes the most of its unconventional theme and delivers a story and a set of characters that are easy to relate to. Not to say that everything about the 110-minute film is perfect - far from it - but it has an easy charm and innocence that sit pretty on a plot that could easily have lost its way had it opted for a more solemn tone. Khallow travels light, and lets the material, and the questions surrounding society's unrealistic notions of beauty, settle into an unhurried rhythm. Gone Kesh may not be instantly crowd-pleasing, but the film does have a few engaging diversions. The story, which set in the present and the recent past, is narrated by protagonist Enakshi Dasgupta (Tripathi), who was diagnosed with irreversible hair loss at age 15 and, therefore, has ever since been under a wig that she constantly worries could come off at inopportune moments. It isn't easy living with a bald pate, especially for a young girl seeking her place in a world where physical appeal is inextricably linked to a healthy mane of hair. Enakshi's insensitive schoolmates poke fine at her. She recoils every time she looks at her receding mop in the mirror. Shweta Tripathi in a still from Gone Kesh. Later, families looking for a bride for their sons reject her summarily - in one scene, her worst fear comes true and the wig drops in front of a prospective groom and exposes her bald pate. But her college mate Srijoy (Jitendra Kumar), who works at the same shopping mall where Enakshi is employed, loves her but cannot get himself to make his adoration known to her. Enakshi's middle-class parents, Anup (Vipin Sharma) and Debashree (Deepika Amin), go from doctor to doctor seeking a panacea, but it is only after a series of wrong diagnoses that they manage to ascertain what exactly is wrong with Enakshi. The father, a watch-seller in Siliguri's Hong Kong Market, has put on hold his desire to fly to Agra one day with his wife, who dreams of seeing the Taj Mahal, so that his daughter can get the best treatment. Enakshi is a working girl. She is an aspiring dancer to boot and participates in a contest to demonstrate her talent. The competition, held in the mall, is her chance to give waning confidence boost. The raging inner struggle to come to terms with her condition and with it repercussions - how it influences her equations with the world around her - forms the crux of Gone Kesh, but not all of it is brought out sufficiently because the film tends to flit from one thing to another. A still from Gone Kesh. However, the emotional tug that the film derivers from Enakshi's relationship with her warm, doting father keeps the wheels turning. The director, who is also the writer of the screenplay, captures the small-town milieu with believable sleights. Extending from the modest home in which Enakshi lives with her parents - a quaint little house with a small fenced garden - to the buzz in the mall, where a lot of the action is set, and the streets and markets, the film paints a vivid portrait that brings the setting alive. Gone Kesh has a slow and meandering rhythm - certainly not what the doctor would order if you are looking for huge dramatic heave-hos. The positive of the pace is that it allows the actors all the space they need to display their wares to the fullest. 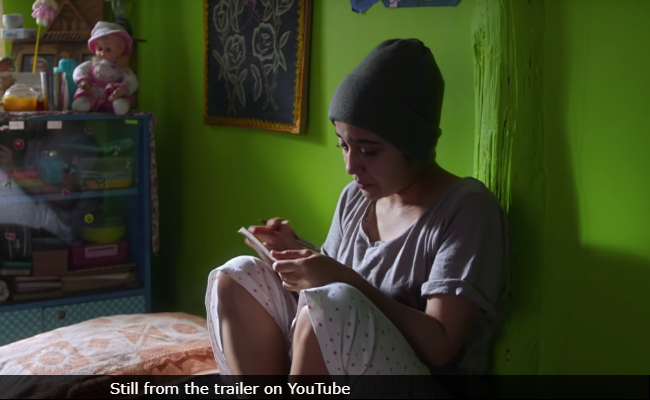 Shweta Tripathi, essaying the role of a girl who is much younger than the actress is in real life, delivers a wonderfully well-modulated performance, articulating vulnerability, resolve and agony in an impressive emotive arc. Even better probably is Vipin Sharma's sympathetic and deeply concerned paternal figure. An actor who has a way with the craft of underplaying - he has been demonstrating not only his range but also a striking sense of the contours of his craft in film after film since his stern dad act in Taare Zameen Par - Sharma comes up with a performance so magnificently restrained that it lifts even those moments in the film that are somewhat undermined by half-hearted writing. Sharma finds an ideal foil in Deepika Amin, who is outstanding as the mother who can fully feel her daughter's pain but can only powerlessly watch her deal with the predicament of premature hair loss. Jitendra Kumar, who already made a name for himself in the web entertainment space, turns in a fine hand in the role of secret admirer too shy to express his feelings. The gentleness of the romance between his character and Enakshi does much to enhance the small-town ambience of Gone Kesh. In conclusion, Gone Kesh is a flawed film, but it is one that has its heart in the right place. That is more than one can say about many of the mindless and/or manipulative Bollywood blockbusters that are being dumped upon us in a season of brazen excess. The title may be a put-off - the pun on gone case (hair today, gone tomorrow, got it?) is a bit of a stretch. The film isn't.